Asparagus, lemon, olive oil, Pecorino, poached egg, black pepper. Chickpeas, tomato sauce, harissa, feta, parsley. Avocado, sprouts, lemon juice, olive-oil fried egg, Aleppo pepper, sea salt. Rye toast, cream cheese, smoked salmon, shallot, capers. Crunchy peanut butter, bee pollen. Labneh, avocado, Aleppo pepper, sea salt. 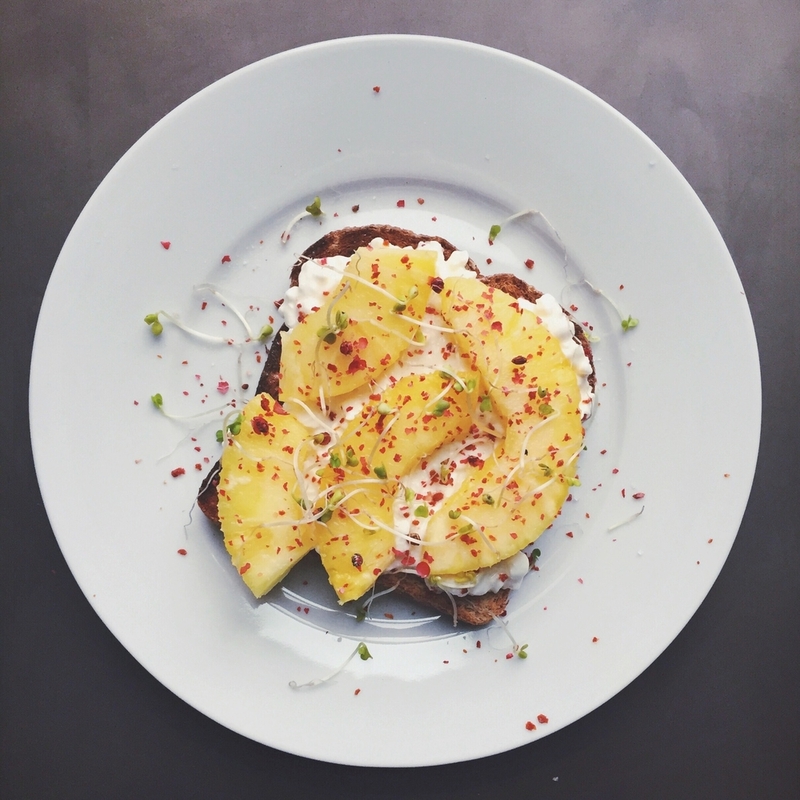 Cottage cheese, pineapple, sea salt, Aleppo pepper, sprouts. Anchovy, labneh, cucumber, shallot, lemon zest, olive oil, sprouts.